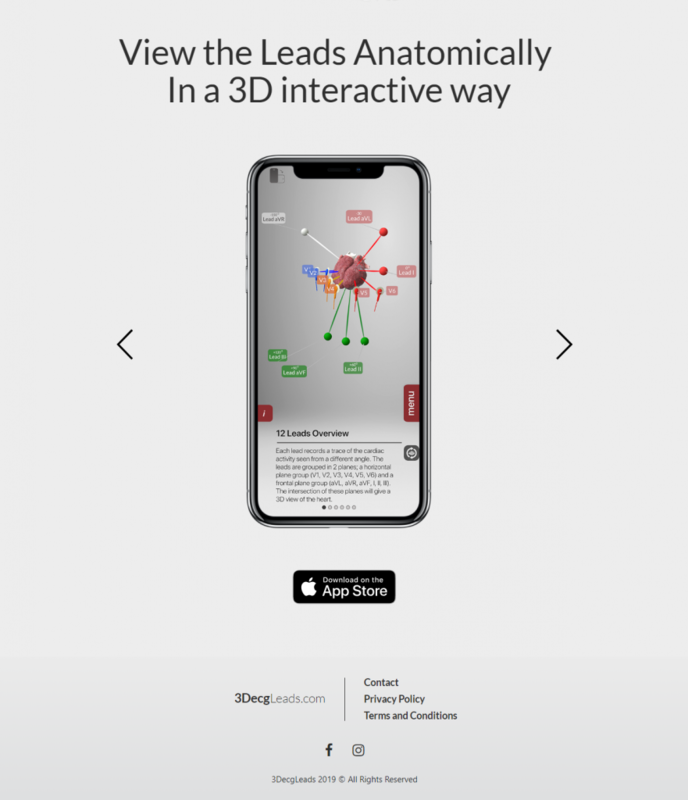 3D ECG Leads is an innovative app created for people who want to learn more about the placement and orientation of the ECG leads. 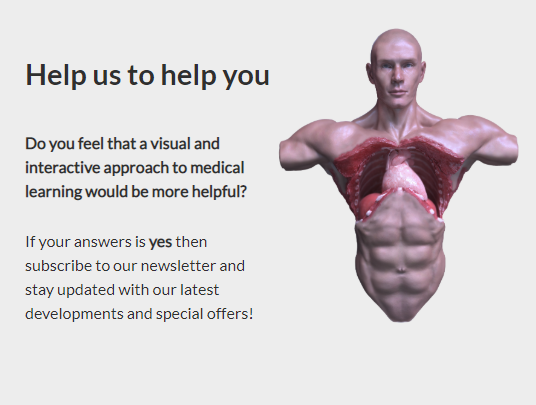 With the new modern technology, the whole process consists of using 3D images. These images are enough and they are teaching you where to place the electrode per general. More specifically, where to place the chest leads and the limb leads. It is a true benefit for people working in the healthcare industry, but also for students willing to learn something new and interesting about the leads. 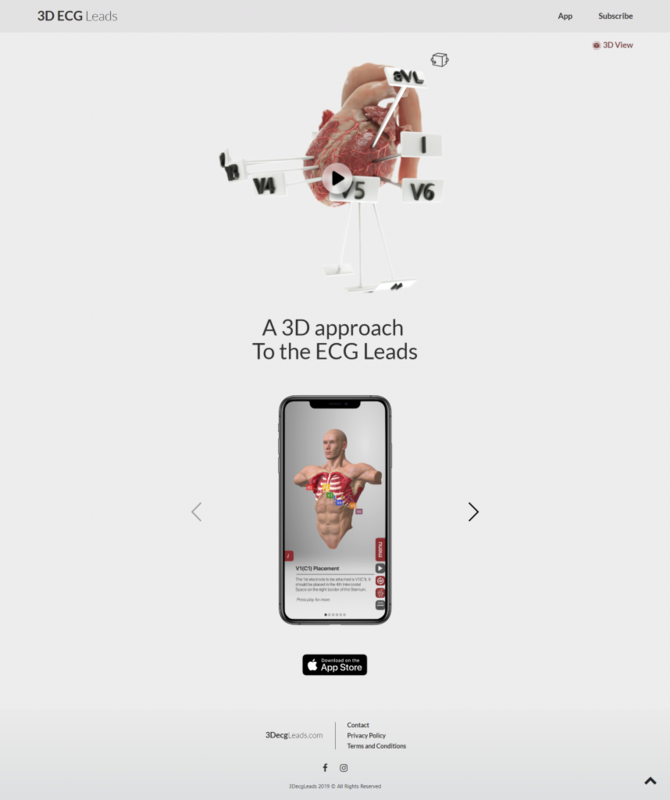 As the name itself suggests, 3D ECG Leads is a 3D approach offered as a mobile app. It helps people remember leads orientation, reduce stress and anxiety caused by misplacing the ECG leads and increase performance. We've created a multi page presentation website for this product. It is airy and clean in order to let the product present itself. When you first enter the website it welcomes you with an image of a heart. Press the image and it takes you to a cool 3D visual representation of it. 3D ECG leads is more than a solution, it is an answer. Forget about the old 2D images used as references. The official website is created in a modern way. You can view 3D images, and also switch for other photos with a description on each of them. 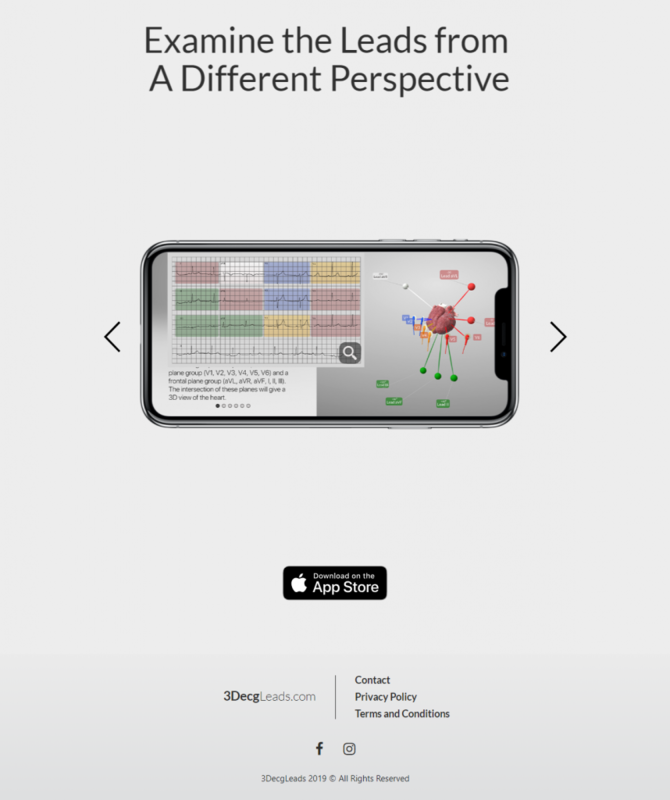 The website is created to be a visual support for what the app itself will offer to the final user. The official website is made out of 2 pages. The first one is the main page with the basis photos. The second one is for you to subscribe if you want to be up to date with the latest functionalities and updates. Another option you will find is the suggestion of feedback box. Information about the company and contact details are easy to find at the end of each page. This type of app is a must have due to its uniqueness and utility. 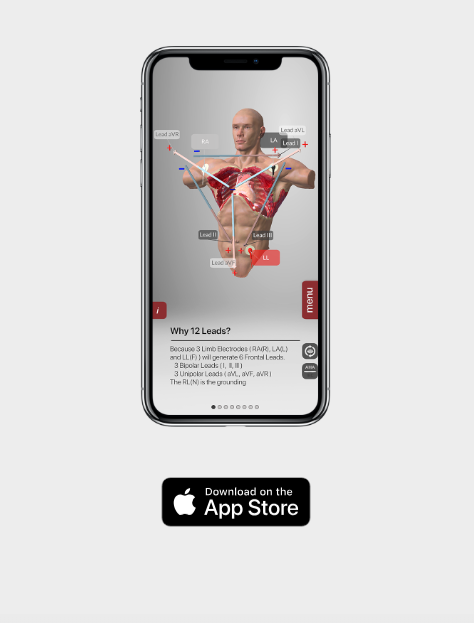 You may have seen similar apps, but this one is unique, it has a plus, and that plus is the visualization technique. Enough with the hard learning, now is your time to enjoy it and we made it fun for you. Explore, learn and relax at the same time with this app. You can find more information about it on Facebook and Instagram as well.